Yes, Pamela Wilson is handing the mic to Amy Harrison on this episode of Hit Publish. Find out why you’re going to love listening to Amy, and hear what she has in store for the future of the show! Today, we’re going to talk about the future of Hit Publish. There are some changes coming. I want to share with you why things will be changing around here and what you can expect from Hit Publish going forward. Today, we’ll cover what you can expect in upcoming episodes of the Hit Publish podcast. Are you ready to hear more about the future of this podcast? Hit Publish is brought to you by the Rainmaker Platform, which handles all of the technical elements of good online business practices, including design, content, traffic, and conversion. To check it out, head over to Rainmaker.FM/Platform and get started building your online business. I’m going to start with a little about the history of Hit Publish. In 2014, I moved to Nashville, Tennessee, the home of country music. In November of that year, a couple of friends came into town to visit me. They were huge country music fans, so while they were here my husband and I took them to see the Grand Ole Opry. Now, if you’ve never heard of the Opry, it’s a stage show that’s been running for 90 years in Nashville. It’s also the longest running radio broadcast in history. Now, I have to confess that I didn’t know much about it before I went, but after I saw the show, I could totally understand why it had lasted so long and been so incredibly popular. The Opry format divides the show into sections. Each section of the show features a performer who takes the stage and shares their biggest hit. Then they share some newer music, too. While I sat in the dark at the Ryman Auditorium on that November day, I realized that the Opry format would make a great podcast. In this case, a podcast about online business. I’m always thinking about online business, what can I say? So I pitched the idea to Robert Bruce. I thought it would be something that he and Brian Clark could try out on their New Rainmaker podcast. Well, little did I know that Copyblogger was about to launch a podcast network. By the end of that conversation, I discovered that I was going to have my own show on that network, and I’d be able to use the format that I had suggested, which was based on the Opry radio broadcast. Fast forward a few months. 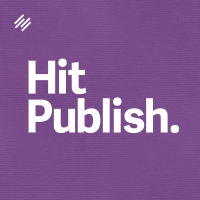 Hit Publish debuted in March of 2015. Well, guess what else happened that month? That month, I was put in charge of the editorial team at Copyblogger Media. That means I’m in charge of the day-to-day operations of the Copyblogger blog, which is our flagship content platform and one of the most important online marketing, blogging, and copywriting blogs in the world. No pressure. On top of that, my title became Vice President of Educational Content. That meant that I was taking on the responsibility to coordinate and guide the development of all our educational products. It also meant that I very quickly began to feel the pressure of having way too much on my plate. By April, I knew I needed to do something. I believe that we all have a responsibility to our employers if we work for a company or to our customers if we have our own business, to keep ourselves healthy and balanced, and also safe from feeling burned out. When we feel burn out nipping at our heels, that’s usually a sign that we need to take stock and reconfigure our priorities. Well, right around that time, I was lucky that my friend Amy Harrison was visiting me in Nashville. Amy and I are in a mastermind group together, and we had a weekend retreat here in April. Amy came over from Brighton, England, to attend the retreat. Amy is actually on the line right now, so hi, Amy. Pamela Wilson: Amy and I go way back. We first met because we were both members of Sonia Simone’s Remarkable Marketing Blueprint member program. That was years ago. Then we saw each other in person several years in a row because we both attended South by Southwest. Finally, we ended up in the same mastermind group. If you’re not familiar with mastermind groups, they’re kind of like small groups of business owners who serve as informal boards of directors for one another. We’ve gotten to know each other pretty well. What I know about Amy is that she is a smart and entertaining teacher who knows an awful lot about online business. Amy’s specialty is copywriting, and her site, WriteWithInfluence.com, is an amazing resource for people who are looking to boost the effectiveness of their marketing with good copywriting techniques. The other thing about Amy is that she’s funny. She’ll keep you laughing while you’re learning, that’s for sure. She even has radio experience, real radio experience. She appears monthly on a BBC radio show in the UK. So with all this in mind, while Amy was staying with me in Nashville, I proposed that she take over Hit Publish. She thought about it for a while, and then to my great delight, she said yes. Without further ado, I want to introduce to you Amy Harrison, the new host of Hit Publish. Amy Harrison: Thank you, Pamela. I’m very excited to be the new host of Hit Publish, especially as I’m a big fan of the show. I loved how you used the Grand Ole Opry format, not only because I’m a huge country music fan, but it just made the episodes so accessible and easy to listen to. What I found when I would listen to them is that they seemed to fly by while also be impactful of useful information. So I’ve got a lot to live up to, but I am excited by the opportunity to reach out to the Hit Publish listeners. I hear on the grapevine you have the smartest, best-looking audience in the land of podcasts. Pamela Wilson: Oh I definitely do. Amy Harrison: It’s well-known. It’s very well-known out there. 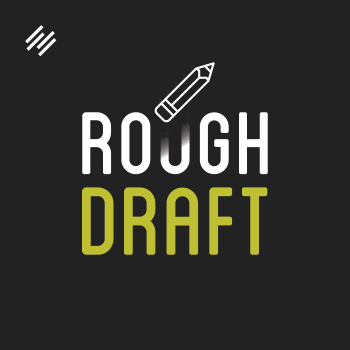 One of the themes I love with Hit Publish, and one that I want to continue to run through the future episodes, is giving people that confidence to Hit Publish, to create content, and to get it out there and release it to the world. I’ve been running my online business since 2008, and in all that time, publishing content has been the most instrumental part of marketing what I do. It’s opened doors and created opportunities. When you have the confidence to Hit Publish regularly and consistently, pretty amazing things start to happen. You can attract more clients, better quality clients. Sometimes you get invitations to attend events or even speak at events. You can also build and become an authority in your niche. I want to see more businesses access those opportunities. Whether you want to focus on building an audience to your blog or finding customers for your business, hitting publish is certainly a way to get there. Now, my expertise is in copywriting, but I originally trained as a scriptwriter for film and TV. So my passion is writing page-turning content about businesses. I love a good story. I love studying what catches people’s eyes, what themes tend to draw us into something. That’s something that we do on the BBC radio show. So I go in, we look at the day’s papers, and we discuss the stories that have got the most attention and talk about why they stand out so much. Now, I didn’t know it at the time that I was studying scriptwriting, but I know now there is a huge similarity in storytelling techniques and writing great content for your business. There are a lot of great techniques in scriptwriting that can apply to your web content, a sales page, or even your blog. Basically, what you want to do is turn your business content into something that your audience wants to read. You want to attract the right people, keep them engaged so that they read the next line, and the next line, and they feel connected to you, your business, or your blog. So that kind of explains the storytelling aspect that really drives what I do. The other part that drives me is copywriting — so turning that connection with your audience into action, compelling people who read your content to then do something. It might be signing up for a newsletter, or booking a consultation with you, or even making a purchase directly. In addition to spending a lot of time writing copy for clients, I spent a good two to three years traveling around Europe holding live writing workshops for businesses. These businesses wanted to learn how to write more engaging content. Now, in these workshops, a lot of the attendees had no marketing or sales background, but they wanted to write really great content for their brochures, their websites, or their social media accounts. Over those years, that’s when I turned really from writing into training and teaching, and I really honed those teaching skills. Today, I love making sure that the things that I teach and talk about are accessible but also valuable — whether you’re brand new to writing content to your business or whether you’ve been doing it for years. So some of the themes and the topics that we’ll be looking at in upcoming episodes will be based around things like confidence. How do you find the confidence to get your message out there? Because nothing happens until you actually Hit Publish. Also, knowing where to start so that when you do come to write your content, you’re not just staring at a blank page and wasting time. We’ll also be looking at research tips and tricks, so understanding the information you really need to know to write persuasively about what your business does or about topics within your industry. Also how to present your content, what should you include in your headlines, or the first few lines to really get someone’s attention. Naturally, I’ll be using specific copywriting tips and tricks. How do you write great bullet points? How do you write great subheadings to draw people’s eyes and attention into your content? I’d love to look at different mediums — whether you want to know how to write for your webpages, or how to write for social media, or how to write for a sales page. There is a whole ton of ideas basically that I’m itching to cover, and I’m also open to suggestions. So if you’re listening and you have an idea or a question or a topic that you think would be a great idea to be covered, if I can do it or if I can get the experts in to help, I’m happy to do just that. Ultimately, I want it to be fun, digestible, and just as easy to listen to as Hit Publish always has been. Pamela Wilson: Well I cannot wait to listen to your episodes based on what you just talked about, Amy. It sounds amazing. Amy Harrison: I’m really excited. I can’t wait to get started. Pamela Wilson: So I would say if people want to send in suggestions, there are a couple of ways that they could do that. They could Tweet you. That’s @HarrisonAmy on Twitter. Then the other thing that people can do is go to HitPublish.FM and leave a comment on any of the podcast episodes letting Amy know what you would love for her to cover. Amy Harrison: … and Amy Harrison, and we want to thank you for being a super smart Hit Publish subscriber. You can help others find Hit Publish. Just head over to iTunes and leave a rating and a review. Great choice for a new host Pam. I’m looking forward to listening. Pamela, I’m sorry to hear you had to pass the reins to your brainchild, but at least it was for a good cause! “Vice President of Educational Content” sounds big time, so kudos! And I couldn’t agree more with Barry in his comment above: You made a great choice with Amy. I’ve linked to and mentioned her AmyTV videos more times than I can count. She’s so funny. So intelligent. So witty. She’s going to do an amazing job, and I look forward to browsing the episodes she’s completed so far! Hope both you lovely ladies have wonderful Fridays and weekends!